1. Follow The Belated Bloomer on Twitter, Facebook and Instagram. 2. Indicate your corresponding usernames / accounts and valid email (like the example below) in a comment. 3. Add me on bloglovin' or tweet about the giveaway for extra entries. (Don't forget the hashtag.) You can tweet once a day! 5. 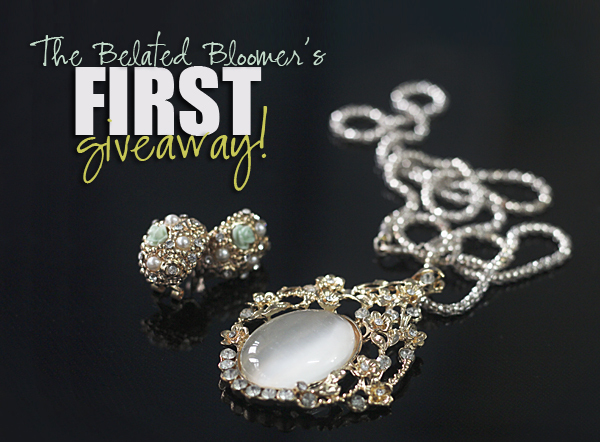 Giveaway runs from Tuesday, August 26, 2013 until Monday, September 30, 2013. The winner will be picked on September 30, 2013 and will receive an email from me. Winner must respond in 3 days or another winner will be selected. CONGRATULATIONS Rubie Chua for winning the giveaway! Will send you an email soon! I don't have Instagram yet. Does this mean I'm disqualified? Hope not. Hihi! That's a lucky coincidence. :) Hehe!